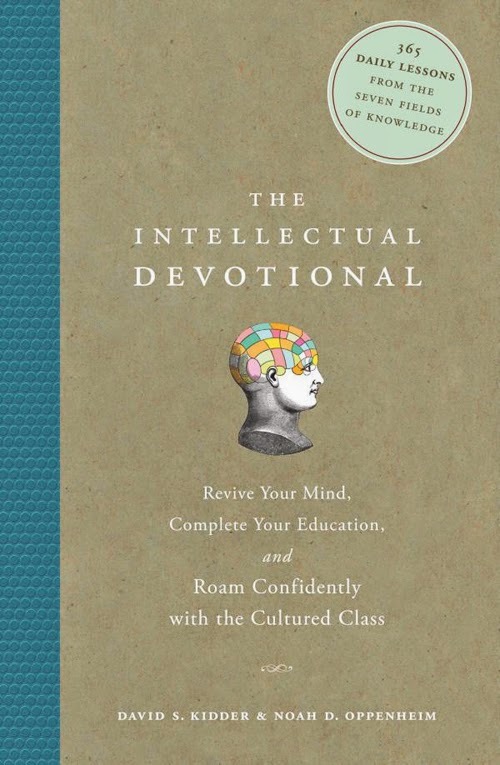 The hook: Here's your opportunity to win a free book with very little effort: I am giving away my copy of "The Intellectual Devotional: Revive Your Mind, Complete Your Education, and Roam Confidently with the Cultured Class," by David S. Kidder and Noah D. Oppenheim. **Update: I also will throw in a copy of my 2009 essay, "Learning to Love the Abused," which was published in this collection of essays. Background: I recently plunged into a nearly full-time writing career without a home office. Now that I've had some publishing success — and lower back pain from sitting on the couch all the time — I'm redecorating our study so it can become my office. In the process of reorganizing, I've come across several like-new books I no longer need. They are quite fascinating. And you guys are great readers. So this is Step 1 of distributing my excess as a reward to your high-caliber selves. More to come: I will give away other books, too, so join my mailing list (at the bottom of this page) to find out when. 1. Find an image on the Internet of a ¡RIDICULO! home office setup, either because it would be crazy expensive to design, or because it’s wildly original or just plain kooky. Photo-finding tools: Try Houzz.com, Pinterest, Flickr or Google images. 2. “Like” my Facebook author page, if you haven't already. 3. "Share" the post about the book giveaway on your Facebook Timeline. 4. 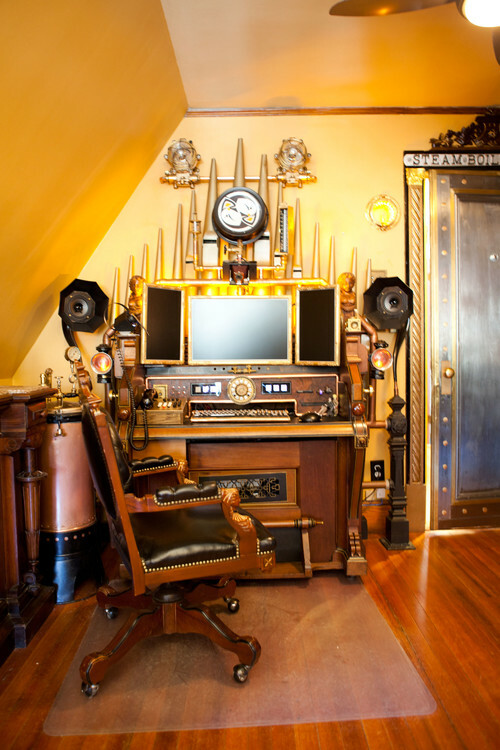 Send me your sparklingly brilliant, outrageous home office photo via the private message function on my FB page. One rule clarification: Send your entry photo to my Facebook author page using the private message function, not to my personal FB account. The reason? So I don't accidentally look at the photo you are submitting. I am judging in blind fashion with an assistant who will screen the photos and strip off the identifying info so I remain unbiased in my selection. At 12 p.m. EST on Monday, May 4, 2015, the contest will close. At that time, I will judge entries based on originality, kookiness and saccharine gut-level impact. I will notify the winner on May 4 regarding claiming the prize. And I will post the winning entry here on my blog after all is settled. Sally forth and select your images! I can’t wait to see what you find.